In a warehouse, factory, or any facility that operates a forklift, accidents can occur and they are costly. They can even be deadly and below are 5 ways to prevent forklift accidents. Are there employers who are getting away with too many injuries and deaths on the job? According to CBC.ca, “One worker dies on the job, on average, nearly every day in Canada.” The average fine imposed on employers after a workplace fatality is $97,000 dollars. Contact our expert trainer today for advice of how to prevent forklift accidents, because it should be the goal of every warehouse to promote a healthy and safe work environment. It is important that companies provide forklift training to all employees. 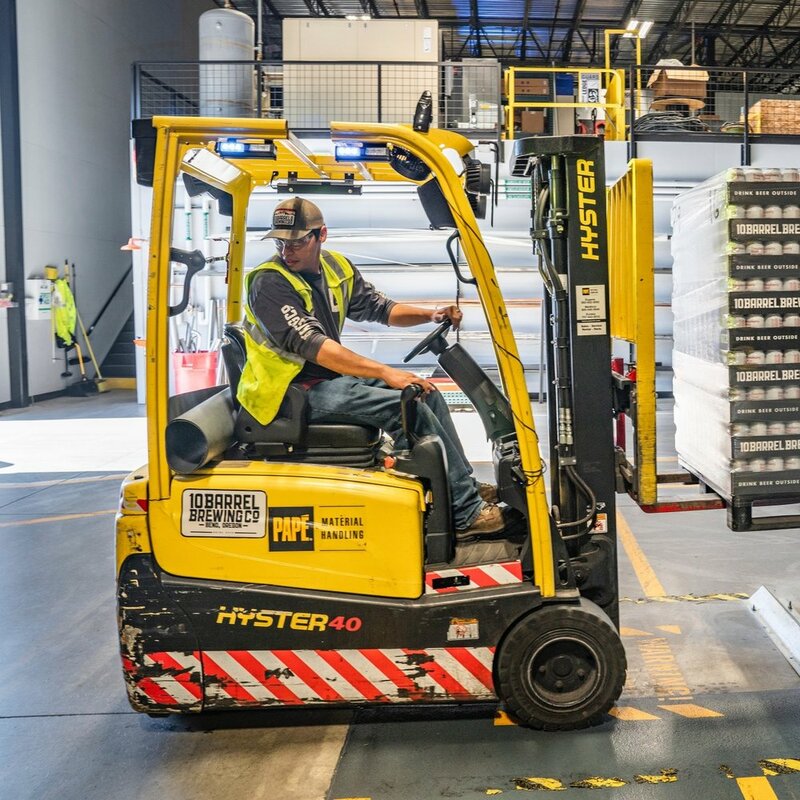 OSHA (Occupational Safety and Health Act) collects more than $2 million each year from citations issued to organizations that fail to maintain their forklifts or provide adequate training to their employees. In our blog “5 element of forklift safety“ OSHA states that 96,785 injuries (non-serious, serious, and fatal) are caused every year due to improper training. Take the time to educate your employees; consistent reinforcement makes a safer workplace environment. A starting point is to implement structured training for all employees including operators, pedestrians, management and even visitors. In addition a once-a-year refresher training course can keep everyone on the same page and compliant with the present OSHA CFR 1910.178 regulations. A disorganized and dirty warehouse, will be more prone to accidents. A Warehouse needs to have aisles that are clear of obstructions, and safe to move people,inventory,and heavy equipment around inside. There are several obstructions that can cause serious injuries. Obstructions can be as simple as plastic packing wrap lying around to a poor workplace design that has tight. If your corners are too tight, the forklift could hit the racking and it may collapse. You may need to revise your cleaning plan. 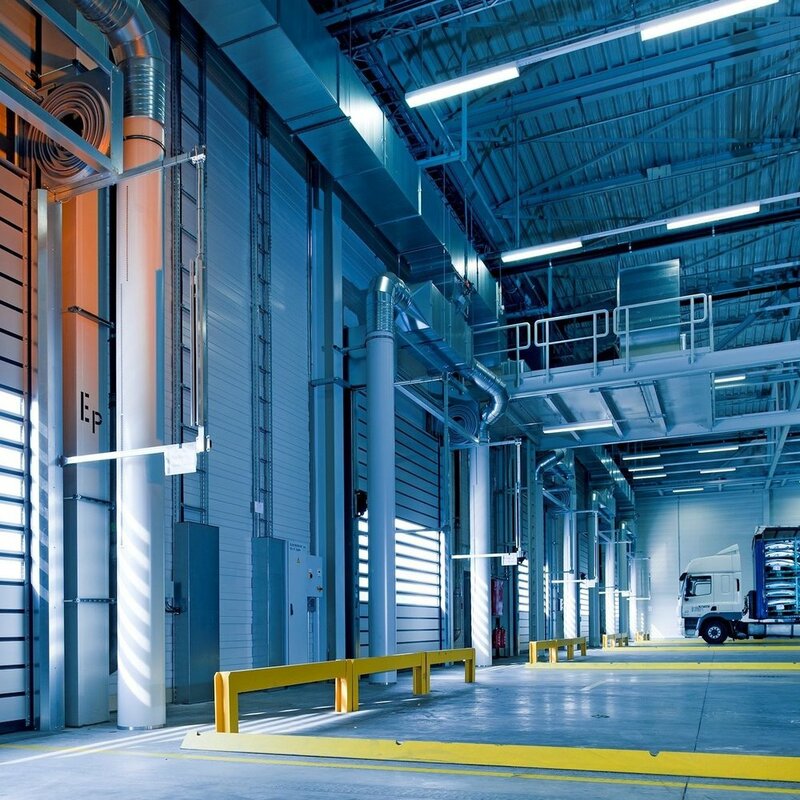 Pay attention to the areas of greatest clutter and devise a daily or weekly cleaning plan to remove things that are lying around that could cause a forklift accident. Employees tend to work better and safer in a clean work area. Try to get them involved in identifying potential hazards. You may need to install more garbage cans, keep you work areas better lit or make sure that the floor is kept clean. People who work in a disorganized facility where things just feel sloppy won’t work as well. If you don’t create and enforce clean facility rules,accidents will happen. In our blog “how to lessen common forklift hazards“, we talk about other indoor hazards and provide you with safety advice that will also help employees to be aware of best practices in a workplace. Visibility and communication are the key factors to reduce forklift accidents. Check out our video about Blue Warranty Forklift Light to help make your workplace safe. Employers are responsible for a safe work environment and a safe system of work. Establish and improve your visual communication to reduce injury or even death. It’s important to remember to inspect your forklift daily before it is used. This is a good way to identify potential problems early. All too often companies make the mistake of utilizing forklifts for longer times than they should. One of the most convenient ways to properly maintain your machines is to implement a forklift preventative maintenance program that includes a regular schedule of service and inspections. Regularly monitoring your equipment is a key part of ensuring safety in the workplace. This will help you keep your forklift in good working order. 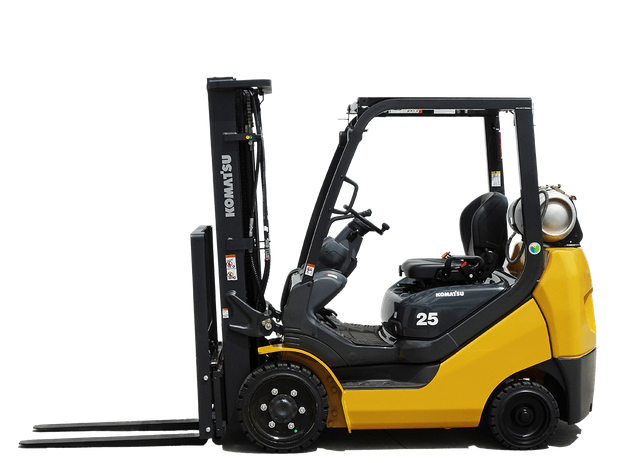 Inspect the tires, lights, signals, safety accessories and other critical parts of the forklift on a routine basis, as recommended by the manufacturer. If at any time your equipment check inspection fails, find out what to do by reading our blog on “The importance of lockout tagout training“ . The information provided there will help reduce any further serious accidents or deaths. A well-maintained machine can provide you with years of reliable and safe service. In many businesses, truck loading and unloading is a daily activity. It is also a regular source of injuries to drivers, workers and visitors. Loading and unloading accidents can happen from overweight, unsecure loads, unsafe equipment, poor racking, or falling objects.You can see examples of these in the videos included in our blog “Top 5 Forklift Accidents“. The most common accident that occurs is a worker crushed by a forklift that has overturned or fallen from a loading dock. This type of accident represents about 25% of all forklift-related deaths. Workers loading and unloading materials should be instructed in safe procedures appropriate to the material they handle. OSHAstandard load and unload questions and answers will help you improve your procedures. It is the employer’s responsibility to ensure that proper training and safe loading and unloading procedures are in place and enforced. Do not allow workers on foot in trailers while a forklift is involved in loading and unloading operations. Material and equipment can shift or break free during any location transfer. It’s important to remember how heavy a forklift is, it can seriously hurt people. Having these appropriate safety measures in place is critical to prevent injuries and reduce the risk of fatalities. If companies implement more stringent training policies such as proper training, safe warehouse design, equipment maintenance, and safety processes it would help to reduce the potential for serious injuries as well as protection of buildings, lift drivers, equipment, and inventory. Want more information? We’d be happy to discuss any of these methods with you.